Over recent weeks I have written about Anxiety quite a bit. Not because I am scare mongering but because this is a serious issue that impacts negatively on thousands of people every day. It’s also a major cause of sickness absence which can become lengthy. None of this is good for the individual experiencing anxiety and stress but it’s not good for businesses either. According to the Government’s own statistics the amount of time lost in 2016/2017 amounted to 12.5 million days and one third of all sick notes issued by GPs is for mental health issues. This is a modern epidemic and as an employer, knowing what to look out for may make a real difference to your employee and to your business. So how does stress develop? What you should be looking out for in your employees – or even yourself! Also watch out for changes in behaviour or attitude. For example, do you notice a staff member becomes easier to agitate, moody or frustrated than usual. Do they snap back at comments they would have laughed off before, or seem withdrawn or aggressive with others? As an employer, you have a duty of care, so asking someone if they are OK or need some extra help is OK. All too often, people struggle on hoping to ‘shake it off’ or that something will change, so your concern may be what they need to hear so something can be done before the situation becomes even worse for them – and for you. Of course, it may be that your business is in a high-pressure industry or service and stress is an inherent part of your world. If that’s the case, you can take a proactive approach to avoid the inevitable difficulties associated with sickness absence for stress or anxiety. Here at The Wellbeing People we specialise in working with individuals but also within teams, departments and companies to address the issues associated with the condition. We can help with bespoke workshops designed around your industry. We can train techniques that enable your employees to stay in control of their own emotional wellbeing as well as making them aware of what to look out for when ‘normal’ levels of stress start to build up to being something serious. We firmly believe in prevention being better than a cure, and in today’s high pressure work place environments this is particularly true. Our workshops can be held in-house or at a training centre local to you. By working closely with you we provide all the benefits that an effective stress and anxiety awareness workshop brings, without disrupting your business operations. We need stress to survive; it’s a great motivator and can support us in achieving important tasks, however when the stress goes on and on our health is affected. Everyone has a threshold and this varies from person to person. Our stress response is our survival mechanism and it can allow us to operate at peak performance for a short period of time, but long term stress must be reduced and managed to prevent serious health consequences. Long term stress causes changes to the brain and the way we adapt to stressors. Stress affects the way the hippocampus, prefrontal cortex and amygdala of the brain respond and if there is no intervention to reduce the stress load, this can result in a reduction of brain ablility and resilience and lead to long term health problems. As a summarised overveiw, the amygdala plays a central role in processing emotional states and organizing our response to stress especially in the case of fear and dread. 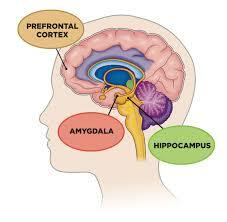 The hippocampus is very involved in memory and is reduced in size by long term stress and the pre frontal cortex, which is the most evolved brain region, is involved in our highest order of cognitive abilities. We can’t remove stress – it is an inevitable part of the 21st Century so we need to manage our stress response by using scientifically evidenced relaxing and meditative techniques and eating foods that support healthy brain function and that reduce the the bodies heightened stress response. Research shows, when we apply techniques like relaxation and Neuro Linguistic Programming (NLP) alongside a diet that supports our endocrine system and the nutritional elements of stress management, we reduce the impact stress has on our health and we feel better and are more resilient. Click here to read more on this topic from the Harvard Medical School Scientific research shows nutrients like magnesium and B vitamins along with other nutritional changes and the effective management of blood sugar can reduce emotional symptoms, anxiety, depression, stress and improve physical symptoms such as pain. What we eat and when we eat are now known to make a huge difference to stress hormone production and our mental resilience. Priced at just £45 per person for the full day or £35 early bird bookings up to the 30th August – includes lunch and refreshments. Nicki Williamson MCAHyp DABCH. A qualified Hypnotherapist, Coach & NLP practitioner. 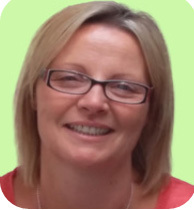 Nicki is an experienced and successful practitioner who has changed the lives of many people, by teaching them effective tools to manage conditions such as stress, anxiety & depression. Jane Rose-Land, BSc Nutritional Medicine, BANT, CNHC. 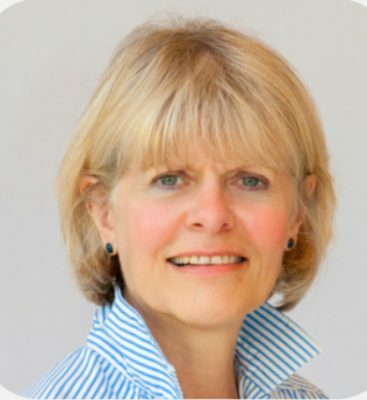 A qualified Nutritionist with a degree in Nutritional Medicine, Jane has a vast experience helping people to a better quality of life through diet changes that reduce stress, improve digestive and bowel health, improve blood sugar management and increase energy levels. We often use the word ‘soul’ – “it’s good for my soul,” or “I put heart and soul into that” and other expressions. Funny thing is that we can substitute another word for soul which sounds the same, means something completely different but still has an amazing power to improve our lives. In fact, we have two of them; the soles of our feet. Our feet are more than handy lumps of flesh and bone to keep us upright or give us a reason to buy lovely shoes. Our feet are masterpieces of engineering, with nerves and veins plus an electrical system worthy of our personal sonar system. If you don’t believe me, try and recall feeling unsteady as you walked on an infirm surface which appeared normal – what actually happened was your feet did not receive back the ‘sonar echo’ your brain expected so you ‘felt’ wobbly. Amazing, eh? Now, here’s something even more fantastic. Your feet have reflex areas, a bit like the receptors in your brain, and can impact negatively on your physical well-being. Like any other human condition if something in your body isn’t working properly you will want to find a therapy that helps alleviate symptoms you find unpleasant, uncomfortable or downright painful. Reflexology is the right therapy for anyone suffering from back, neck and muscle problems, or sleeping difficulties, stress or tension and even digestion issues. As I say on my website, Reflexology is a great way to give your body an MOT and enjoy some wonderful relaxation at the same time. This is not a cure-all for illness or diseases but as a therapy to improve your physical symptoms this is powerful and proven. One of The Wellbeing People’s therapists is Mark. Mark has extensive experience in this field and combines Reiki with Reflexology to get the best possible results for you. This method focuses on relaxing the body from within and promotes toxin drainage and a sense of calm, making you feel rejuvenated and full of energy afterwards. So why does reflexology work? The principle behind it is that different places on the foot correspond with particular areas of the body. When a trained and skilful reflexology practitioner applies exactly the right pressure on those areas you can be rebalanced, destressed and re-energised which leads to an overall feeling of wellbeing. For a majority of people, it provides a deep sense of relaxation, warmth and a pleasant tingling in the body. Tension is relieved and symptoms reduced, leaving you in a happier state than before. Taking exercise is good for all of us, as we know, and for some people it’s more than just visiting the gym or jogging. Folk join teams, get involved with leagues, take on marathon challenges with friends – the real list is an endless mix of activities which have a competitive edge. And everyone likes to be the best they can be, especially when a medal or a winner’s cup is the end result. So, what do you do if ‘something’ is just not working as you want it to and your sports performance has stagnated or even reduced? The truth is that for some of us, no matter how hard we train or practice, that mysterious missing element of continual improvement has nothing to do with technique or strategies at all. The problem can literally be in your mind. Yes, that’s right – you could be subconsciously self-limiting your progression and, as hard as it is to understand how your deep desire to run faster, throw further or hit a ball in a straighter line can be hijacked by your own brain, that is exactly what happens for more fellow sportspeople than you may realise. As with any issue that is getting in the way of achieving what you want, the right professional support can help you eradicate the barriers which may be limiting your performance. If you are in any doubt, just give me a call on 07568 145151 and I can give you more details on why this happens and how I can help. For many years I have been an NLP Practitioner and, combined with other positive techniques, I can give you the tools you need to improve your game. Whatever game that may be! When you think about it, it does make sense. Think back to when you were a youngster and learning to ride a bike. You were so convinced you would fall off if the stabilisers were taken off or your favourite person let go of the back of the saddle, your thoughts become a painful reality as you hit the ground. Think forward a little to when you realised the person you thought was holding you steady was many yards behind you – and there you were, riding along without a wobble, bump or bruise. Now, here’s the thing; it is unlikely that you ever fell off your bike again. Your subconscious mind had done everything it could to ‘save’ you from a perceived threat – the pain of hitting the ground. When experience and the exhilaration of riding without a problem finally happened, your sub-conscious no longer had to protect you so suddenly riding a bike became easy because your conscious mind had taken back control. Golfers even have a name for that awful and awkward time when they cannot do a simple thing on the tee, fairway or green, despite many years of playing the game. They call it ‘the yips’. So, with a mind that can inadvertently make even seasoned sportspeople fall short of what they want or expect to be able to do, it makes sense to find a coach who can help. There is nothing worse for a parent or carer of a young person than not knowing how to help when times are stressful. Not only is there the usual ‘teenage’ challenges for them to deal with, the exam season must feel like the worst possible source of stress for virtually every school or college student. The stress many experience, as constant reference is made to their future success or life options as being dependent on exam results, must be as difficult to bear as taking the exams. We all mean well and want our young people to appreciate how important their exams are but there should be a limit on emphasising this in such a way that it adds to pressure already associated with exam season. And if you see the stress is creating physical or mental health issues, it’s time to do something positive to alleviate it. I work with young people experiencing exam stress on a frequent basis and I am painfully aware that sometimes the best thing you can do is get professional support from someone like me. As adults we know that failing an exam or not achieving the desired grade is not actually a life or death situation. As adults, we know from experience that options exist when outcomes are not the desired ones. But young people do not have that overview which is created by experience and maturity. Tragically, for some, the results of exams and the apparent stark alternatives between what may be perceived as success versus failure, becomes so miserably intense that to even get out of bed becomes unbearable. Of course, for the vast majority, it’s a time of misery and uncertainty which can itself be debilitating. The lead up and actual day of an exam is clearly stressful but it is a mistake to think that with the round of test papers over, the stress young people feel simply vanishes. In fact, it can get worse – and with weeks to go before those results reports are opened our young folk need all the support they can be given. So, if you are a parent or carer of someone who has just taken their exams or is coming up to finishing them, you may find the past weeks of irritability, poor sleep and loss of appetite – perhaps with temper fits or withdrawal added to the mix – are still evident and remain troubling. I work with school pupils and students of all ages throughout the school year and I know from personal observation and experience that self-confidence and self-belief can quickly take a battering at any time but this is amplified immensely before, during and after exams are taken. So, what should you do when a distressed teenager slams a door literally or figurative in your face? You should call me on 07568 145151to talk about the symptoms and behaviours you are observing in the young person you care so much about. With your information – call it evidence if you will – combined with my professional experience, we can discuss whether more needs to be done in terms of support therapies and techniques. Of course, it may be that you are as stressed and worn out by exam season and the student is, but even if that is true too, it is still important to speak with a professional therapy provider to work out a way forward that benefits everyone involved in this important phase of a youngster’s life. Anxiety – a word with just seven letters but with so much distress, harm and restrictions behind its meaning. It’s no wonder people who experience debilitating anxiety feel so restricted by their own thoughts and feelings. Thankfully, there are ways and means to deal with Anxiety through proven techniques and exercises. Solutions are available and my work with people dealing with Anxiety makes me appreciate how courageous they are on a daily basis. May is Anxiety Awareness Month and as a practitioner who consistently meets and treats people with Anxiety issues, I am adding my voice over the next few weeks to focus on what sounds like a ‘simple’ issue but is, in fact, far from being so. I will give Anxiety a reality that is perhaps missed or misunderstood by those who do not experience it in the same way as those whose lives are made miserable by it. Of course, a degree of anxiety a is natural thing. It’s what triggers how we subconsciously pause to double check that what we are thinking of doing or saying is ‘safe’ or at least within the boundaries of risk that we are comfortable with. For some of us, it is experienced at a hyper level that can cause real and dramatic physical responses to what may be perceived to be ordinary situations. For example, most of us will leave our homes for work each morning with barely a backward glance; perhaps checking first that the back door is locked and we have all we need with us. For others, just getting out of the house is a major event. In fact, just the thought of walking out of the front door can make some people so afraid, with feelings of dread and physical discomfort that they abandon the idea all together. And when this happens, over and over again, it is understandable that Agoraphobics may stay inside their homes for weeks, months and even years. The number of causes of Anxiety are many and varied, as is the degree of extremes it can reach. One thing is certain, it can be dealt with, but when you are trapped by fears that self-perpetuate and crushing uncertainties that you know are illogical, taking those first steps amount to a battle in itself. Although Anxiety is technically a mind-set and mental health issue, the physical impact is equally real. Feelings of anxiety can cause leg pain and even chest pain which gives the impression of a heart attack – the pain is real, and in no way ‘put on’. Palpitations, nausea, vomiting, fainting – the list of physical responses to a panic attack are very real indeed. So, you can see why Anxiety not only restricts a life but can make it utterly miserable and downright painful. My message today for anyone out there trying to deal with Anxiety – diagnosed or undiagnosed – is this; people like me are able and very willing to help you. Yes, you have to reach out and let a practitioner like me know you need us but believe me when I say, we know what you are going through and we WILL help you. We all know that setting goals – and achieving them – is important. Our personal and professional lives are often firmly framed around specific goals that are important to our roles and ambitions both inside and outside our working hours. However, many of us can find it difficult to set goals for ourselves or even deliver them as part of a team. But there IS a solution for an individual or a whole team of people who are struggling with setting or delivering goals. I can help individuals and teams to create a clear focus, align their plans with personal KPIs and make working to corporate objectives simple and straightforward. AND how to engage and deliver successfully! Like most games where scoring a goal is the main purpose, the best route to success is having the right coach. That coach would be someone from The Wellbeing People. Here at The Wellbeing People, we work within businesses and with individuals on a 1:1 basis, to quickly and easily improve how they think and feel about setting or delivering goals. It’s a bit like knowing the ball you need to kick will hit the back of the net each and every time. You can become SO confident and focused that you will genuinely feel you could score a goal with your eyes shut. Imagine – your stress and sleepless nights could be a thing of the past, easily and quickly, if you know how to focus clearly and align your mindset so you can clearly see the end game. So, why do goals, key performance indicators and all that is linked to them make us feel as if we are being asked to build a brick wall with jelly? It’s not because we’re not capable of setting or following goals, in our hearts we know this. Our minds, however, are playing a different game altogether. What’s more, the aversion to all things goal related may impact on a whole team of people who are responsible for working together to deliver a defined, desired outcome. A work-place project, for example, or changing processes or practices that need attention. The result? Endless meetings to ‘discuss’ the minute details rather than taking an overview, frequently rescheduled deadlines so more ‘thinking time’ can take place, repeated reviews or working parties. The end result is even more stress for all concerned. Having a plan is how we make ourselves feel organised and in control. But setting and achieving goals, whether it’s for work or in our personal lives, is often easier said than done. In fact, just thinking about setting goals or working out an action plan to deliver goals we have been given can cause genuine stress. That can genuinely, realistically and achievably become a problem of the past – just contact us to find out more.